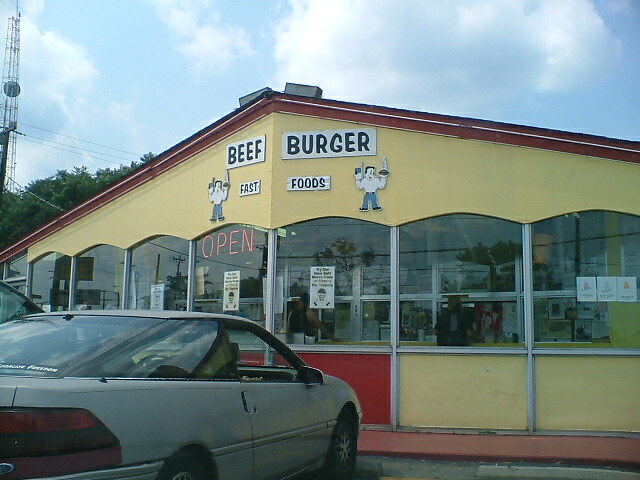 Beef Burger - Greensboro's Finest Restaurant. Some people call it Beef Burger, some people call it Biff Burger. You can take your candle-light dinners, and $75.00 meals at any of Greensboro's reservation only restaurants and shove it up your....buns. Beef Burger is the finest restaurant in Greensboro, and I'll tell you why. Why? Well if you were to take Greensboro and slap it's culture out on a table, toss in some tradition, and slather it in Beef Burger's special sauce. 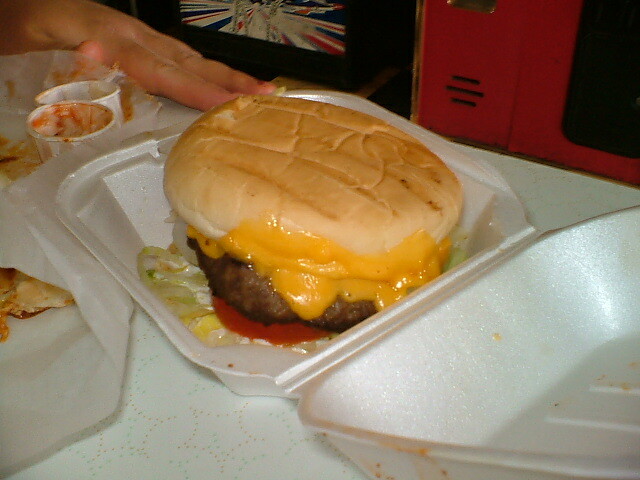 Then the Superburger from Beef Burger would be a physical metaphor for what this city is about. I mean take it for what you will, but it could be Beef Burger is the food that Greensboro is known for. Sure we've got Barbecue, but there's no arguing that we fail miserably in the fame area compared to Lexington. No, Beef burger is our mascot. It's our Philadelphia Cheese-steak, It's our Chicago Pizza, It's our Memphis Ribs, It's our Los Angeles Chicken and Waffles. Beef Burger is as perfect as it gets in representing our town in food infamy. So what is it about Beef Burger, and is famed Super-burger that makes UNCG students equate it to the ultimate Munchies cure on those weed-induced weekends studying? 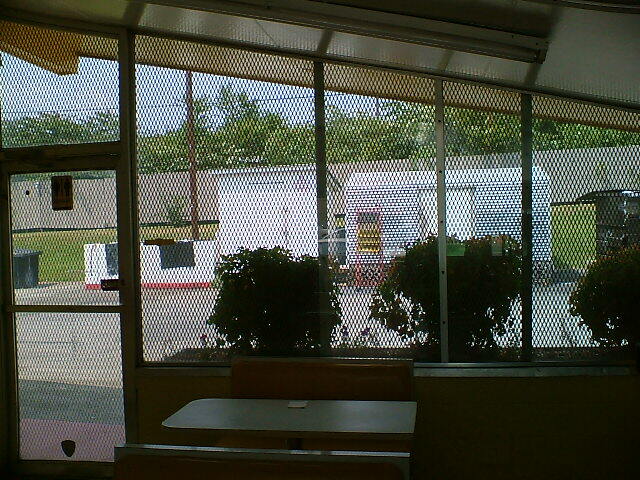 What is it, that makes Beef Burger a known location that Hollywood just has to stop at when they're in town? Well the Super-burger's fame seems to come from Beef Burgers Unique cooking mechanism, better known as the "Whirl-a-burger". Two rotating broiling platforms cook your beef, and then "drip" the fat onto your buns as they toast em. In all likelihood there is probably still remnants of the first Burger, Beef Burger ever cooked on the thing. Then you get your lettuce, onions and tomatoes, in between the perfect burger. True lovers of the sandwich can add cheese and bacon. Personally... at under $5.00 for a Super-burger special, (including fries, and drink) you won't find a single restaurant in Greensboro to offer you an authentic, long-standing traditional food as Beef Burger. It is without a doubt, the finest restaurant in Greensboro.